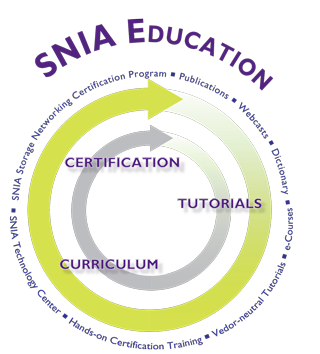 SNIA offers opportunities to learn about storage technology from a vendor-neutral perspective. Storage professionals are increasingly turning to independent educational programs to keep up with day-to-day demands and to plan for the future and to complement their existing product specialist skills. Educational materials (such as White Papers, Case Studies, or Webcasts) specific to a particular Forum/Initiative can be found in the Knowledge Center for the related Forum/Initiative.